Here it is: a choice – a nod, a hushed “yes,” a hearty “you betcha!” a desperate “Ok what else is there?” Our assent to what seems impossible sets in motion a radically different way of perceiving reality and living our lives. Many say, “No, absolutely not, no way!” Others – “Well maybe, later, we’ll see.” Or, “I tried it. Nothing there for me.” One cannot fault them too much. We have all demurred, delayed, hemmed, hawed, and held out for what our senses and minds can deliver. One ought to hesitate, for a sword will pierce through your heart too. For this yes is not to a social security card, a 401k, or health insurance. This assent will require the suffering and sorrow that deep down, mature Love asks of us. 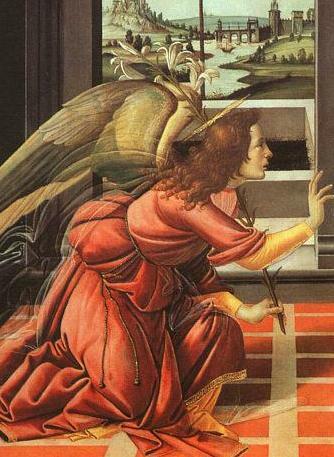 The angel, Gabriel, in W.H. Auden’s poem, holds out the choice and the promise that await Mary and us on the brink of a new year. This notion of choice has been a recurring theme in my prayer and study over the past year. Moment by moment we get to choose. Perhaps it is obvious to you, but it just slays me. An angel stands perpetually at the doorway of our hearts posing the question. 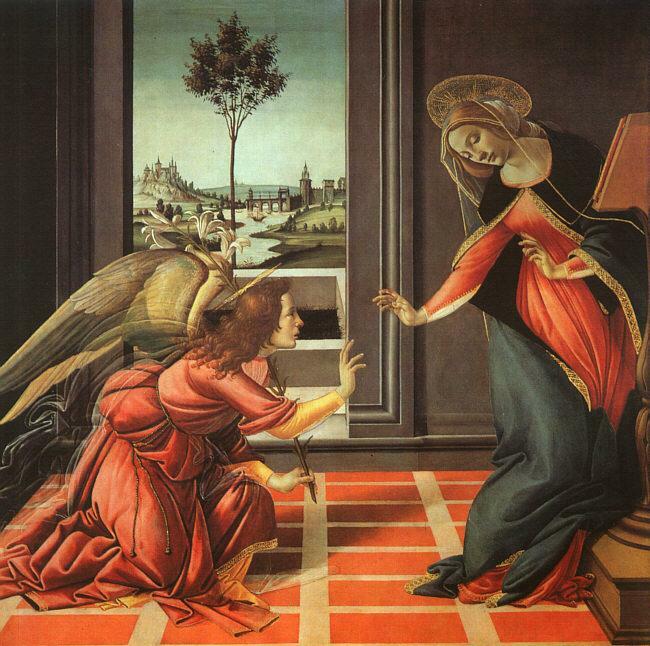 “Will you conceive, apprehend, take hold of Christ?” What God has willed the angel to ask, our own will has to answer. A dozen times a day we may turn away and polish up our “no.” We embellish it with our needs, our way, our life, our opinions, our truth. No matter what issue, conflict, trauma, joy, or disaster is unfolding before me I get to choose how I will respond and what sort of “meaning” I will give it. Will I conceive the promise of new life, possibility, and the presence and power of God in the mix of my life experience? Or will I play out some dead-end soap opera with those same sullen resentments and fears? If I say yes, I assent to live in mystery, to let go of control and surrender to a power and wisdom greater than mine. I choose not to be an American idol, but rather a bit player in a story far more sweeping and magnificent than my own drama. Come on now. Don’t quibble. Don’t make that angel stand out in the cold, you standing there clutching your worry and anxiety. Take a chance on Love. Go ahead in 2010 and choose the Child who is choosing you. This entry was posted in Annunciation, Christmas, Prayer, spirituality and tagged Angel Gabriel, choice, For the Time Being, W.H. Auden. Bookmark the permalink. You say the Spirit things. Give words to that unformed in me. I re-read. Return to the feast He has spread here.